KAMPALA – Prioritizing family planning alone cannot reduce the fertility rate in Uganda, an expert has said. According to the Director General of the National Population Council, Dr Jotham Musinguzi, the country should adopt the educate and urbanise the existing population to fight the high dependency rate, which he said has led to stagnation in economic development. “Uganda is still far from obtaining demographic dividends. We need to have a shift in the age structure with less child dependency, youths that have skills and can create their own jobs and a reduced fertility rate if we are to achieve this,” he said at the launch of RISE Uganda project at Speke Resort Munyonyo on Tuesday. “Family planning is a good idea but education does a great deal. We also need to urbanize the population, improve the health sector, make health reforms, have economic sector development structures in order to reduce fertility rates in Uganda,” he added. RISE Uganda project was started to empower women to make choices on the number of children they want to have and the spacing between them. Dr Carole Sekimpi, the Country Director for Marie Stopes Uganda, said the RISE Uganda project worth £38m (184.4b UGX) funded by the UK government and will run for five years in partnership with Marie Stopes, UNFPA, and Population Media Centre and Reach a Hand. She said providing women with information is empowering them to make choices and this would enable them to contribute to household incomes and get involved in the fight against increased population growth. “We shall provide family planning services, continued sensitization to enable women make choices from an informed point of view, strengthen the supply chain for the family planning services and implement policies like sexuality education frameworks for the adolescents,” Dr Sekimpi said. She added that the men also play a very important role in reducing fertility rates in the country so their involvement is much needed. According to the minister of State for Heath (Primary Health Care), Dr. Moriku Joyce, Uganda has made progress on family planning uptake but it is still behind compared to other East African Countries. 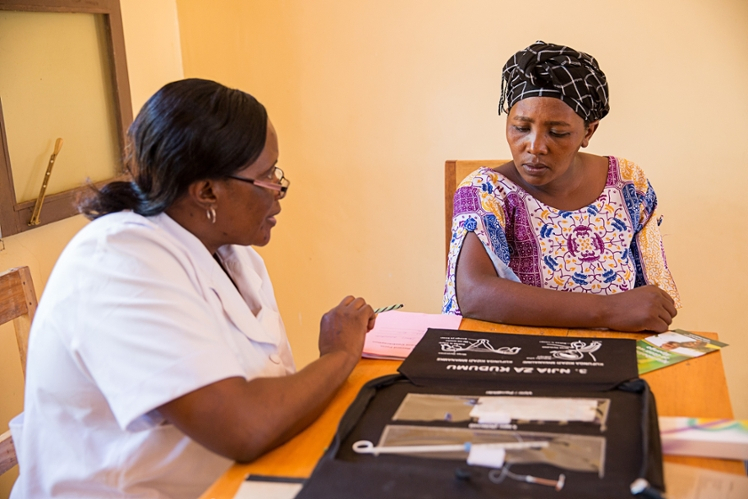 The uptake of modern contraceptives is at 35 per cent but with an unmet need of 28 per cent. There is also a reduction in the mortality rate from 438 per 100,000 live births in 2011 to 336 per 100,000 live births in 2016 according to UDHS 2016. She also remarked that there should be a program that targets adolescents that drop out of school as well as people in transient places and hard to reach areas.